The calendar has officially declared that fall has arrived, even if the weather is slow to get on board. This cooler season isn’t unlike summer in that it is full of wonderful ways for you and your family to stay active and healthy. Here are thirteen fun things you can do with your loved ones. 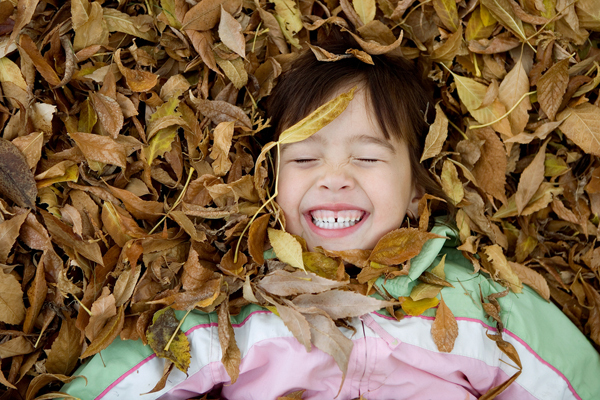 We encourage you to try one activity for each week of Autumn. 1. Play at the Pumpkin Patch. 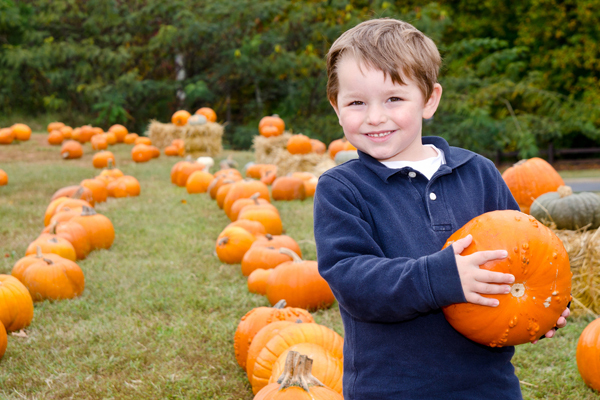 The pumpkin patch is a great way to get off the couch and get some fresh air. Most patches have hay rack rides, petting zoos, and even playgrounds. 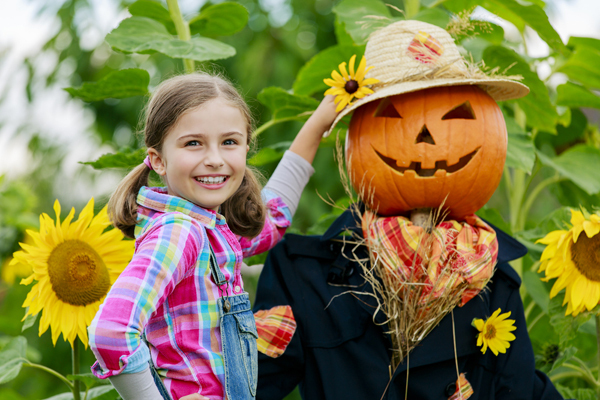 Get the most out of your time, challenge your kids to find the oddest sized pumpkin, or get some exercise by searching the far end of the patch. There’s lots of fun to be had by all. While you’re at the patch, don’t forget to grab a few baking pumpkins. The big guys are great for jack-o’-lanterns, but don’t taste the best. The smaller sizes are great for more than pie. Try roasting a pumpkin and serving it with a little salt, or add it to your favorite chili recipe. In fact we have 11 more ideas for cooking with this gourd. 3. You Butternut Forget the Squash! Whether you’re at the pumpkin patch or at your grocery store, don’t forget about the other delicious plants growing on the vine. Fall welcomes the season for winter squashes like butternut or acorn. The shapes are fun and the flavors are delicious. 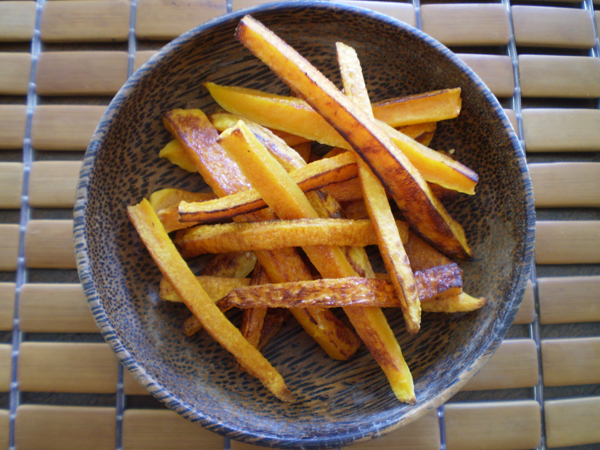 Experiment with new tastes with Butternut Squash Fries or Roasted Acorn Squash Salad. 4. Get Lost in a Corn Maze. 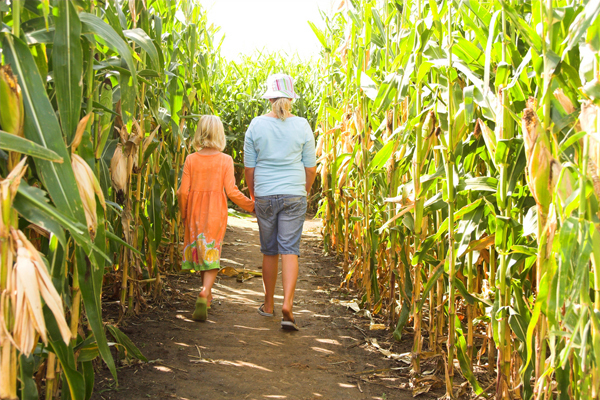 Corn mazes are fun for the whole family. Reduce the spook by going during the day, they’re just as fun. You end up getting a lot of walking in and kids get a chance to practice directions and navigation. If your gang is up for the extra challenge, grab your flashlights and go at night! 5. Pick Your Own Apples! Find your nearest orchard and load up your baskets. Pick your own farms are available throughout the country, and not only put you in touch with mother nature, but can offer a lot of physical activity from walking, stretching, climbing, and carrying. 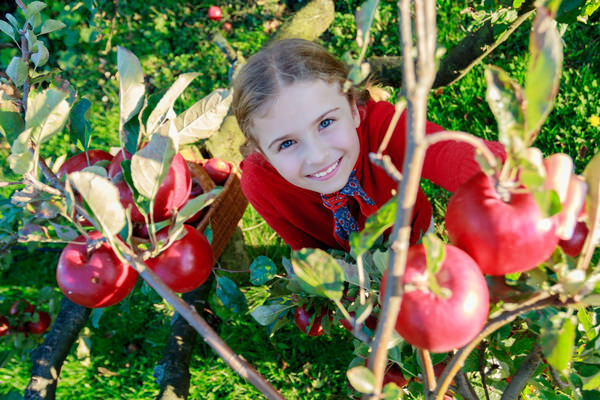 It’s also some great togetherness time with your family and you get the freshest apples you’ve ever had. Now that you have a surplus of apples, get cooking. Think outside the apple crate because this fruit can be used for much more than pie, too. Applesauce is a great option, as you just simply steam the wedges. 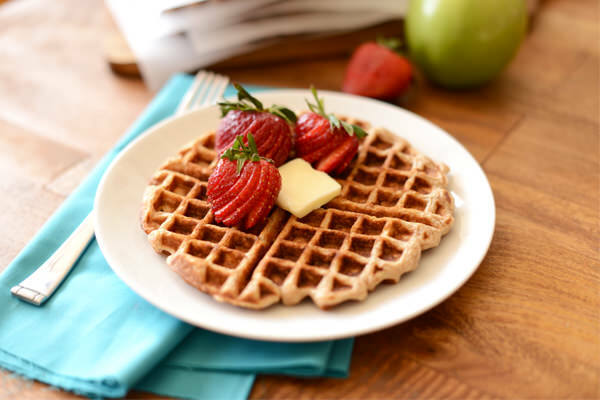 Apples are so sweet on their own, adding a natural sweetness and nutritional boost to these Homemade Apple Cinnamon Oatmeal Waffles. There plenty of savory options, too. Sautee apples with a pork tenderloin, or make this Roasted Butternut Squash and Apple Soup. 7. Walk or Ride Through the Foliage. 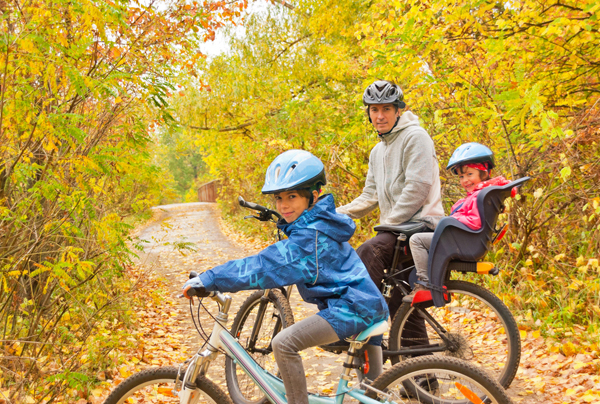 The leaves are quickly changing every day, so don’t miss the opportunity to enjoy the colors and the crisp air by taking a family walk or a bike ride amongst the fall leaves. Go weekly to take a picture of the same tree each week and let your kids note the changes. Once those leaves hit the ground, you have the perfect stuffing for a scarecrow. Get the whole family in the yard and share the stuffing duties. Before you fill the potato sack face, take a pause to have a sack race through the yard. You’ll have a fun afternoon with a great decoration to display the rest of the season. 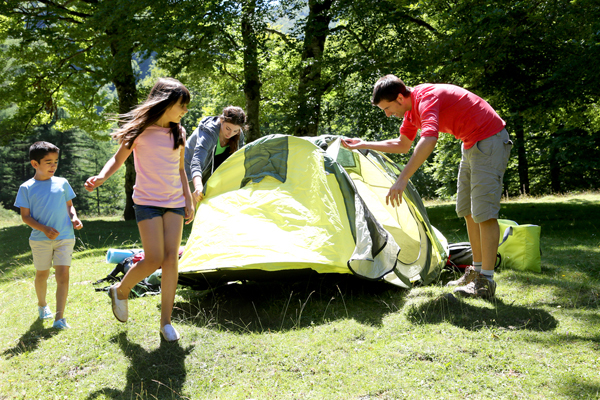 There’s no better way to convene with nature, spend time with your family, and be one with the season than to pitch a tent and spend a day or two in the woods. 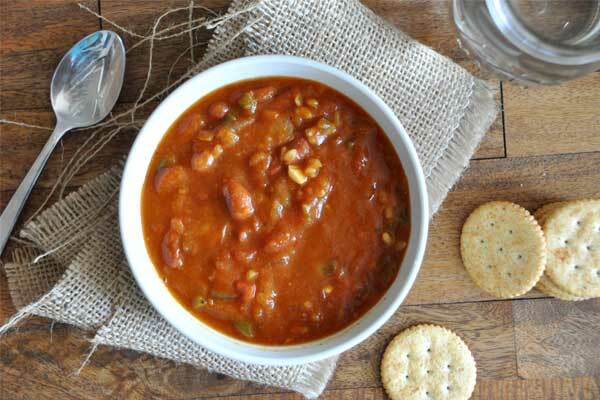 Pots of chili over the fire, scavenger hunts and hikes, sing-a-longs, and maybe even a banana s’more will have you feeling good in no time. Most of us get pumpkins, set them on our porch, and then toss them when the season is over. Get more out of your purchase! Let the kids create a bike course with the pumpkins as cones. Or better yet, have a lifting contest with them to ee who can do the most reps. We’ve even got an entire pumpkin workout just for mom or dad! 11. Jump in leaf piles. We all have to rake those falling leaves, go ahead and get the piles real high and get the whole family acting like kids by jumping in. Take some great pictures too. After you’ve made a huge mess, rake them again and get the whole family to pitch in with the bagging. Maybe once the leaves are scattered, clear a fun path with leaves on both sides, for the kids to ride their bikes through, like a real trail in your own back yard. Get in the spooky spirit by having a “scary” movie night. Make some healthy snacks like our Cinnamon Raisin Brown Bag Popcorn, or apple wedges with almond butter and put in a monster movie. Might we suggest Hocus Pocus, Monsters, Inc., Hotel Transylvania, or ParaNorman. Bonus points if you do a movie screening in the backyard!